Tata Sky gives an alert every time a new channel is added, you press the yellow button and they pompously announce that so and so channel is now available on Tata Sky, but when they remove channels , they remain hush about it, they recently removed the Neo Sports channels after the deal with Neo Sports fell through. The Bangladesh series is scheduled to be shown on Neo Sports only. But thanks to the high court you can watch the Neo Sports coverage on channel 101 which is Doordarshan national, they are also showing the cricket match. Also deleted are 24Ghante, Play TV, Zee Jagran, Zee Smile, Zee Music, Zee Kannada, Zee Telegu, Zee Sports, ETC Punjabi, ETC, Zee Premier, Zee Action and Zee Classic , 13 channels owned by Subhash Chandra’s Zee group. This was done as Tata Sky wanted only 19 of Zee’s channels, while Zee wanted to sell all 32. 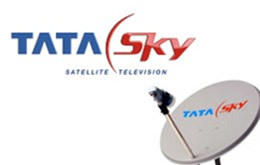 TDSAT ruled in Tata Sky’s favour. This means TATA is now saving 46 rupees per customer, but these savings have not been passed onto the consumer as of yet. The order came on April 21, so there is little hope now that TATA Sky will pass on the savings. They also added a new channel BBC Entertainment(203 ? ), it only runs from 6pm every evening.